With no less than 22,548 miles (36,289 km) of coastline, the Republic of the Philippines has a laidback island vibe that is downright contagious. 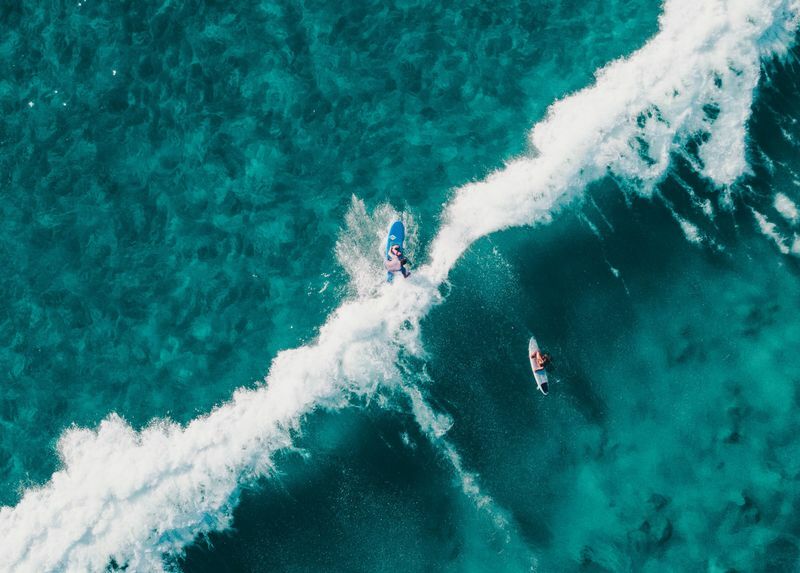 Its white sand beaches and blue-tinged waters make it an ideal destination for surfers looking to either unwind or catch some of the most impressive waves on the planet. Those of you who find that the best relaxation comes from engaging in thrilling outdoor activities are in for a treat. The strong offshore winds between December and April stir up the ocean and turn the islands into a surfing paradise. So, if you are planning on going surfing in the Philippines, make sure you check these awesome surf spots off your bucket list! The crescent-shaped beach outside the coastal village of Dahican is on its way to becoming the next big surfing destination in the Philippines. The waves here are a bit more difficult to tackle, making them an excellent fit for more experienced surfers. But thanks to the varied swell, beginners are bound to find something too. Located in the Davao Oriental province, Dahican is a 4.3-mile (7-kilometer) stretch of pure white sand beach, bathed by the turquoise waters of the Pacific Ocean. It is also a popular destination for skimboarding. Best time to go: Between September and March, although you can find good conditions throughout the rest of the year too. Expect bigger waves between December and February. Whenever a storm hits the Philippines, Puraran is the place to go. The waves in the town of Baras in Catanduanes are challenging and are bound to put your skills to the test. Don’t worry if you do not have enough experience under your belt; Puraran is the place to gain some. Also, did you know Puraran is home to one of the fastest and most hollow right-hand barrels in the world? It is suggestively called the Majestic. Despite its fame, the wave remains relatively empty. Best time to go: Between November and February. Between August and November, offshore typhoons stir up the Pacific and produce high-quality waves that hit Bagasbas Beach in Camarines Norte in the Bicol region. Throughout the rest of the year, Bagasbas receives a constant swell that produces small waves, just perfect for beginner surfers. Furthermore, the relatively easy access from Manila makes the beach quite popular. 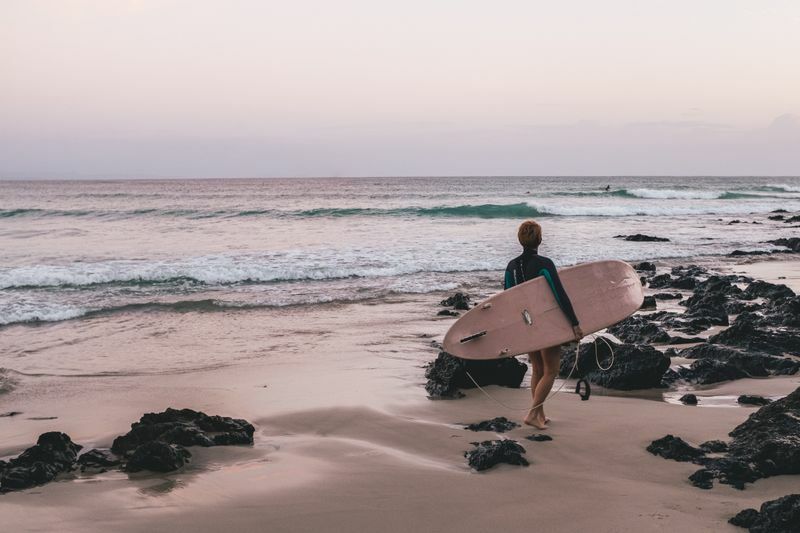 You will find a perfect balance of waves here, which offer something for everyone – gentle breaks for beginners and powerful ones for advanced surfers. Of course, this only adds to the popularity of the long stretch of fine gray-sand beach. Despite its popularity, Bagasbas Beach does not get crowded. Best time to go: Expect some nice barrels between July and November. In a good year, the surf is up until January! Some of the best and biggest waves in the Philippines can be found in Pagudpud, in the Ilocos Norte province. Even better, this is one of the least crowded surfing destinations in the country. 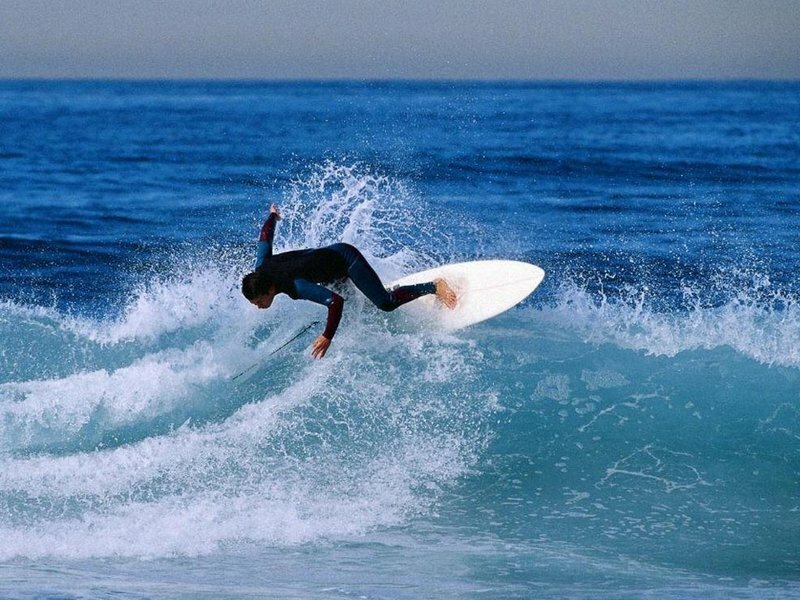 The right and left-hand beach breaks here are fun to try for anyone from beginners to pros. In Pagudpud, make sure you check out the Blue Lagoon, a white-sand beach bathed by surreal blue waters and enclosed by lush tropical forests. This idyllic surfing spot is great for learning to master the waves. Best time to go: Between August and October. The surf here may not be as big as in other places in the Philippines, but its proximity to Manila (a one hour drive) makes it quite popular, both for surfers and beach-goers. 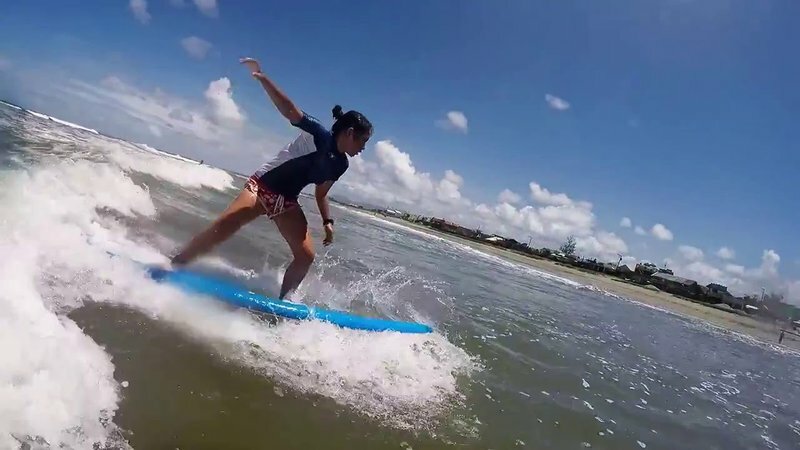 Crystal Bech Break – the most popular spot in Zambales, this beach break offers both rights and lefts for beginner surfers as well as progressing surfers. High 5 Lahar – this is a sure bet when the other waves in the are are not performing. High 5 Lahar is recommended for more experienced surfers. Best time to go: Prime surfing season is between April and September, when southern swells hit the coast. Many surfing spots still wait to be explored in Eastern Samar. 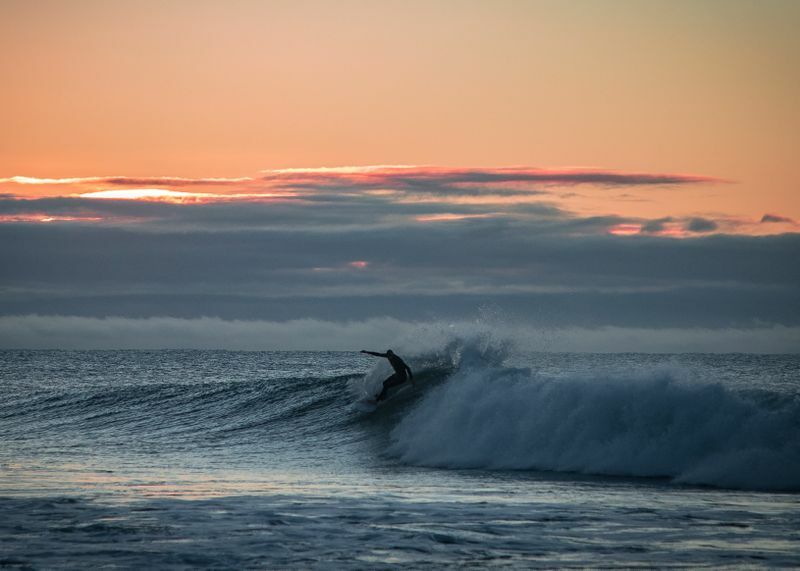 With a wild and rugged coastline, the province is a diamond in the rough when it comes to tourism and surfing. Of course, this only adds to its appeal. Calicoan Island – a sleepy island known for its wicked breaks. The best waves can be found on ABCD Beach, which has some wild left and right-hand beach breaks. Due to the strong currents, these are recommended for experienced surfers. Guiuan – considered the surfing capital of Eastern Samar. With strong waves and white sand beaches, this place is not just a surfing hotspot but also a tropical paradise to laze around. Best time to go: There are two surf seasons in Eastern Samar: the North-East Monsoon season (between October and April) and the South-East Monsoon Season (between May and September). However, we recommend hitting this spot between October and April, just to be on the safe side. Located in Northern Luzon, La Union is pretty close to Manila and therefore easily accessible by road. San Juan is the primary surf beach in La Union. With clean, world-class waves, it is dubbed the surfing capital of Northern Philippines. Waves here can reach 8 to 10 feet (2.5 to 3 meters) on a good day. However, all surfers can find a spot to their liking, as there are three peaks at San Juan, and even beginners will feel comfortable here. The beach at San Juan only has three breaks: the aptly named Beach Break, The Bowl and The Point. 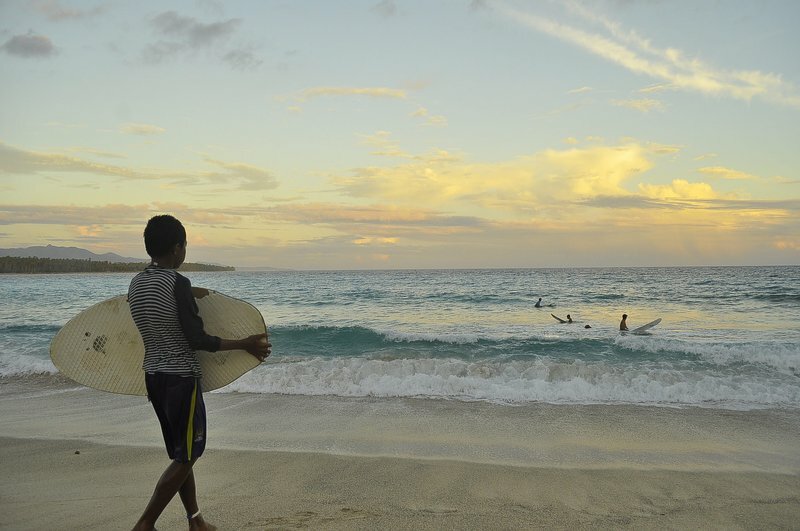 Sunset – a beach break that produces medium to large lefts, only a 2-minute drive from San Juan. Car-rille – often compared to Rincon in California, Car-rille is a long right point break that offers rides over half a mile long (1km). Only five minutes from San Juan, it is one of the most popular surf spots in the area. Bacnotan – long rides on excellent waves between October and April. Darigayos – a 30-minute drive north of San Juan, the clean left and right breaks at Darigayos work best with a south swell, between May and September. Best time to go: The waves are consistent throughout the year, but the main surfing season is between October and March. The waves reach their peak performance in December and January. 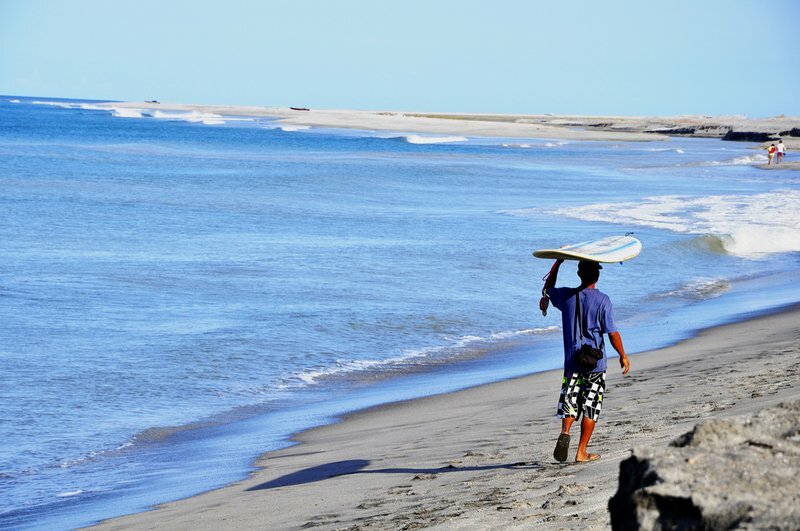 No list of surfing spots in the Philippines would be complete without the birthplace of surfing in the country. If the place looks somewhat familiar, then it means you’re a Francis Ford Coppola fan like myself and paid attention during his powerful Vietnam War movie Apocalypse Now. Part of it was filmed in the coastal town of Baler where, towards the end of the 1970s, the filming crew accidentally gave birth to surfing in the Philippines. During filming, the locals watched and learned. After the crew left, they began practicing on their own. The long black-sand beach at Baler is the most popular surfing destination among Philippino locals. It does not disappoint travelers either. There are several peaks here, both lefts and rights. 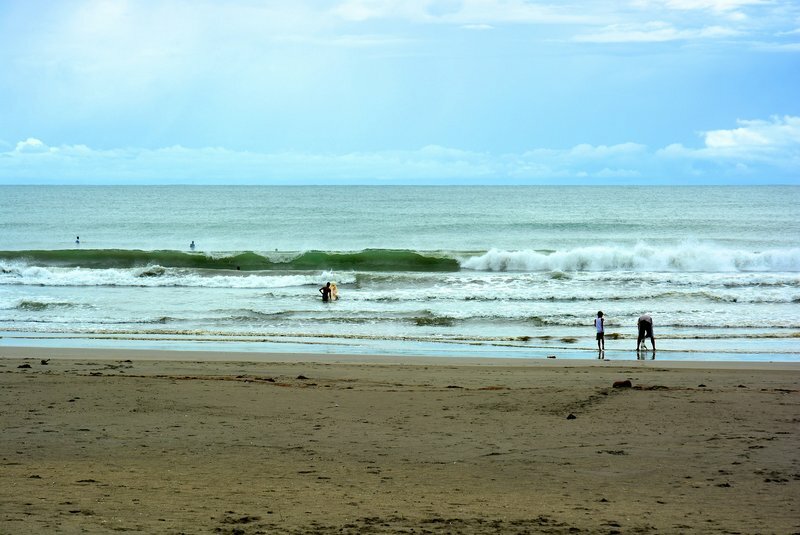 The main break at Baler is a right-hand reef break that is recommended for experienced surfers. Cemento – without any doubt, the best break near Baler can be found at Cemento, a fast and hollow right-hand reef break that can throw some punchy barrels. This is the venue of numerous local surfing competitions. During typhoon season, the big swells rolling in produce big waves that are more suitable for advanced surfers. Charlie’s Point – located within walking distance from Baler, Charlie’s Point is where the memorable surfing scene in the Vietnam War film Apocalypse Now was shot. With a regular-sized swell, it produces fun and lazy peaks with a sandy bottom, recommended for beginners and intermediate surfers. Best time to go: Prime time to surf at Baler is between October and April, when northerly swells kick in. Nevertheless, surfing is pretty consistent all year round. The surfing capital of the Philippines, Siargao Island gets strong waves from the Pacific Ocean, offering right and left-hand breaks for intermediate to advanced surfers. On Siargao Island, the first place surfers flock to is General Luna, home to the world-famous Cloud 9, by far the most recognizable break in the Philippines. The majestic right-hand reef break displays some perfect barrels that surfers from far and wide come to take a shot at. Please take note that the razor sharp reef at the bottom makes this wave more suitable for advanced surfers. Cloud 9 can be pretty intimidating. The good news is that there are plenty of spots on Siargao for beginners to play in shallow waters with a sandy bottom, such as Llorente. 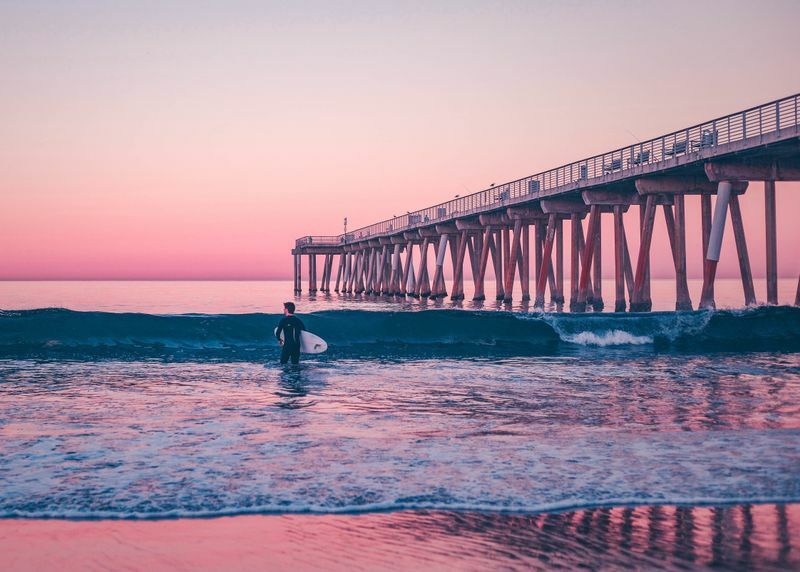 Local and international surfing competitions are held each year in September, which is a great time to visit and watch the pros trying to tame the waves. Best time to go: The waves put on their best performance between September and May. If you are an intermediate surfer, September and October, as well as March through May, are the best months to be surfing in Siargao. For more advanced surfers, November through February is the big swell season, producing challenging world-class waves, but there’s also a higher chance of rain. 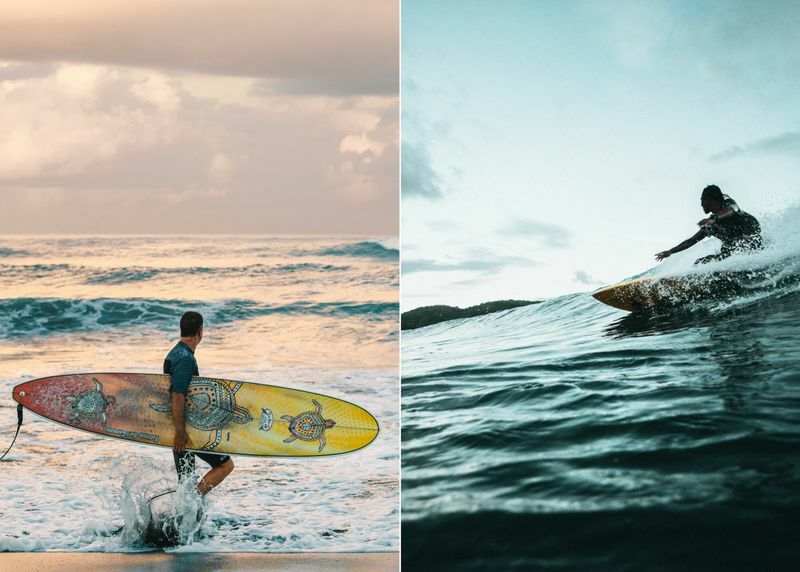 Planning on taking a surfing trip to the Philippines anytime soon? Make sure to check the above surfing spots off your bucket list!